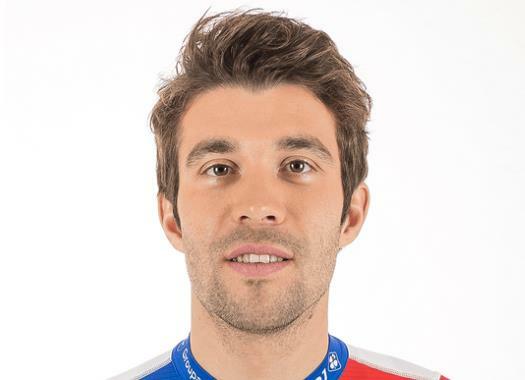 Thibaut Pinot (Groupama-FDJ) has won the 15th stage of the Vuelta a España. The Frenchman attacked at the last climb and crossed the finish line on his own. The closing mountain stage of the week took place between Ribera de Arriba and Lagos de Covadonga over a 178.2-kilometre route that featured two climbs of the first category and a mountain finale at the Lagos de Covadonga on an hors-category ascent. After many attacks at the front of the peloton, 12 riders managed to break away. The front group included names like Ivan Garcia Cortina, Imanol Erviti, Ben King, Pierre Rolland, George Bennett, Danny van Poppel and Bauke Mollema, among others, and built a gap of around four minutes with the peloton. The pack was pulled by teams like Mitchelton-Scott, Astana and Movistar to control the escape as well as possible. With around 25 kilometres to go, Michal Kwiatkowski (Sky) and Alexandre Geniez (AG2R La Mondiale) crashed and even though they looked in pain, both came back to their bikes and continued riding. With 15 kilometres remaining and as the front group was already reduced to 10 men, Garcia Cortina attacked and built a gap with the rest but was caught by the favourites' group with eight kilometres to go. A kilometer later, Lopez launched a strong attack and Movistar accelerated to hunt him. A couple of kilometres later and after Richard Carapaz did his best to close the gap, Nairo Quintana accelerated and managed to catch Lopez. The pace in front affected Rigoberto Uran (EF Education First) and as he was already making contact with the group, Thibaut Pinot (Groupama-FDJ) attacked and soon created a gap with the rest. Some metres later, race leader Simon Yates (Mitchelton-Scott) attacked and Alejandro Valverde (Movistar) was forced to pull the group of the favourites. With five kilometres to go, the reduced group got to Yates and left Uran once more struggling in the back. The next rider to try his luck was Enric Mas (Quick-Step Floors) who was reeled back in by the favourites' group but moments later tried again and was soon joined by Quintana, Lopez and Yates, while Valverde and Steven Kruisjwijk (LottoNL-Jumbo) stayed at the back. Moments later, Yates attacked again and was followed by the others. Valverde re-joined the group moments later and just after, Lopez attacked again. Yates started pulling the group but asked Quintana to take turns while Kruijswijk joined them. Pinot crossed the finish line on his own and Lopez arrived 27 seconds later. Yates arrived in the third position and kept his lead in the General Classification, Valverde, Kruijswijk, Mas and Quintana followed.